"So once again, today, I was reminded of how easily we twist Scripture to say what we want it to say. And yes, I know that we all bring our cultural biases to our reading of Scripture. But because that happens we shouldn’t use that as excuse to pursue new or novel interpretations. 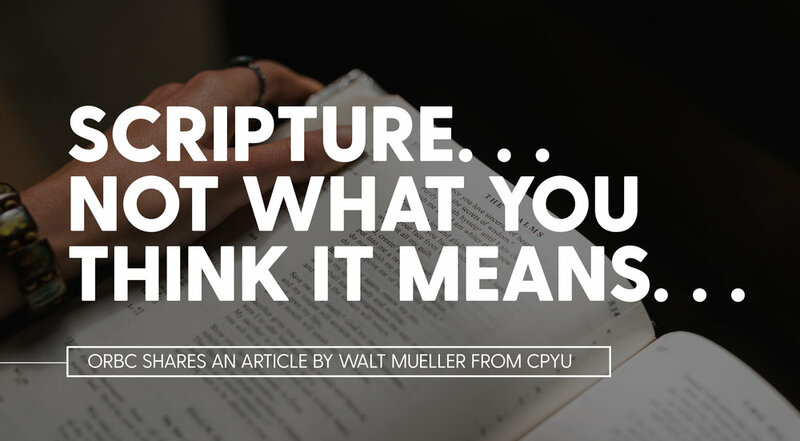 In fact, we should endeavor with greater effort to interpret Scripture accurately. And then, we should stand firm."